You have many reasons to be proud of your library and many reasons to have faith in your library’s commitment to excellence. Here are just a few recent awards and endorsements from local and national organizations. In October 2018 Betsy Roe, associate curator/educator in the library’s Alice C. Sabatini Gallery received the Outstanding Art Educator Museum Education award from the Kansas Art Education Association. Betsy leads several regular art events for the library including Art Detectives, Art in Common, Art & You and STEAM Power. She also leads an annual program that enables a small group of local high school students to curate an art exhibit in the Sabatini Gallery. As an artist, Betsy’s work is sculptural fibers and focuses on ecological concerns such as the preservation of Kansas prairies in the Flint Hills. In July 2017 the library received the Women Empowerment Prevention Award from Women Empowerment, Inc. This award is given annually to a community partner that demonstrates exceptional service and dedication to our youth and community, while acting on behalf of Women Empowerment, Inc. It is a prestigious honor that serves to recognize the best of the best within our community. During 2011, the library supported Women Empowerment’s Save Your Self program as a pilot with excitement and gusto. Fast Forward to 2017, Women Empowerment hosts more than 200 young girls annually at various locations throughout the county. 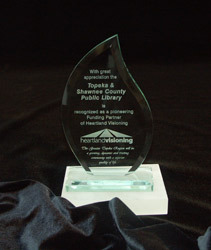 In June 2017 the library was part of a group of Shawnee County leaders to receive Campaign for Grade-Level Reading Honors for the county being a 2016 Pacesetter Community by demonstrating exemplary work in meeting the criteria for one or more aspects of the Campaign’s framework for success, scale and sustainability. The Campaign for Grade-Level Reading focuses on reading proficiency by the end of third grade, with a goal of ensuring that children from low-income families succeed in school and graduate from high school prepared for college, a career and active citizenship. Shawnee County’s leadership is making a significant contribution toward achieving that goal. Local history librarian Donna Rae Pearson served as a judge for the Kansas History Day State Contest in April 2017. Students in grades 6 – 12 participated in the contest held at Washburn University. Students presented their research projects around the 2017 theme Taking a Stand in History. The presentations included dramatic performances, documentaries, research papers, websites and three-dimensional exhibits. The library’s Digital Services staff members Joey Embers, David King and Brian Mithen were interviewed for a StateTech magazine article. Library staff were interviewed on the Hyperconverged system they recently installed in the library’s data center. StateTech is a national trade publication for state and local government technology. 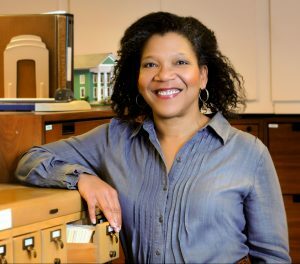 Library CEO Gina Millsap presented the keynote presentation, a breakout presentation and was part of a panel discussion at the Computers in Libraries annual conference in March 2017. The library’s Director of Digital Services David King presented a half-day workshop on technology trends at the conference. 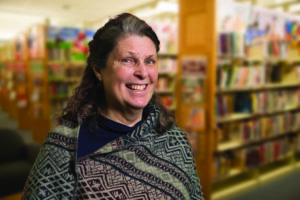 Millsap shared her secrets to becoming a role model for libraries around the world. She discussed how the roles of librarians and libraries are changing to be community leaders and change agents. Librarians are the new superheroes – developing new toolkits, skills and relationships to facilitate positive change in their communities. The library won top honors at the American Advertising Awards annual recognition of design professionals on February 4, 2017. 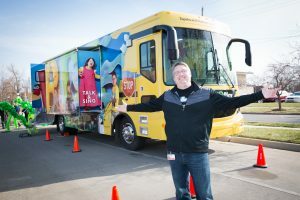 The Learn & Play Bus mural wrap, designed by Michael Perkins, earned a Gold award in the “Out-Of-Home and Ambient Media Public Service” category. Perkins was also recognized with a Silver award for the National Library Week Celebrity Librarians READ posters. He photographed the celebrities and used those photos in his design of the 12 READ posters. The library’s Volunteer Coordinator Kari Zimmerman was selected to participate in Leadership Greater Topeka 2017. A program of the Greater Topeka Chamber of Commerce, Leadership Greater Topeka identifies outstanding potential leaders from across the community and teaches them how to lead in a community setting. Thirty-six class members attended a retreat and eight day-long sessions between January 12 and May 5 to learn about challenges facing the City of Topeka and Shawnee County, and how they can work to influence community issues and problems. Topeka and Shawnee County Public Library is one of 35 libraries invited to participate in the Book Rich Environments (BRE) Initiative. BRE is the first national initiative that brings the local public library and public housing agencies together on behalf of children and families living in public housing. BRE was formally launched on January 5, 2017, in Washington, D.C. The Urban Libraries Council identified our library as a potential partner because of our collaboration with the Topeka Housing Authority. The American Library Association’s (ALA) Office for Diversity awards 2016-2017 Spectrum Scholarships to 61 exceptional students pursuing graduate degrees in library and information studies. Our library’s own Customer Experience Manager, Cindy Hohl, was an awardee. In the 2016 application cycle, the Spectrum Scholarship Program received three times as many applications as there were available scholarships, and the majority of this year’s applicants were deemed highly fundable. A prestigious committee of 10 jurors selected this year’s Spectrum Scholars based on their commitment to diversity, commitment to entering the library profession, demonstrated community outreach, academic ability and achievements and leadership potential. Red Carpet librarian Nate Hohl delivered the presentation titled “Engaging Sports Fans at Your Library,”at Public Library Association Conference in January 2016, which was named by Publishers Weekly as a “can’t-miss panel.” Hohl also presented for Florida Library Webinars on August 2, 2016. Topeka’s “20 Under 40” is designed to promote mentorship and professional development by introducing local leaders to the established business community and by promoting them as role models for the younger Topeka generations. Each year the program receives more than 200 nominations and over 100 applications. 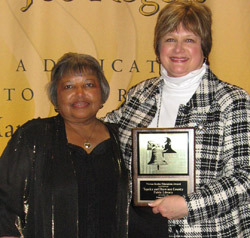 Staley was honored for her work at the library and her leadership in the writing community of Topeka. Lissa Staley – 2016 – 20 Under 40 from WIBW-TV on Vimeo. 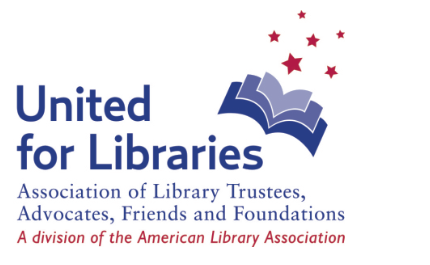 The Capitol Federal® Foundation has been honored with a Major Benefactor Citation from United for Libraries, a division of the American Library Association. Their $200,000 gift enabled the library to purchase a new bookmobile that replaced a 21-year-old vehicle. The Library Foundation nominated the Capitol Federal® Foundation for the award earlier this year. The Major Benefactor Citation gives national recognition to a corporate body that has made a major gift to a library and shows the local community, as well as the nation as a whole, how truly appreciated these major gifts are to supporting libraries and to sustaining their vital roles in their respective communities. Topeka and Shawnee County Public Library Chief Executive Officer, Gina Millsap, presented the award to Capitol Federal® Financial president and chief executive officer, John Dicus and Capitol Federal® Foundation president Tammy Dishman. Both the library and the Capitol Federal® Foundation received plaques for display. Librarian Lissa Staley is a 2016 judge for the romance category of Library Journal’s Indie Ebook Awards. The top three books in each category also receive professional reviews in Library Journal’s print magazine and blog, which she will write for the romance winners. Also in 2016, she wrote an article “Finding Love in the Library: Embracing Indie Romance Books,” interviewing librarians and writers on the stigma associated with romance novels and self-published books. Librarian and computer training professional Shari Schawo was a guest speaker at the YWCA Network Luncheon and was reported in the Topeka Capital-Journal for her presentation. She spoke to 30 women about how to find the right smartphone or tablet. In her role at the library, Shari is proficient in utilizing technology and educating people on how to use smartphones and tablets. Leah Sewell, Communications Editor, represented our library in an online webinar with Novelist in May 2016. There were more than 1,000 registered participants for this webinar in which Leah discussed the unique way we communicate through e-newsletters. Sending out the e-newsletters allows us to keep customers promptly updated about services and events, while being easily accessible. We have more than 43,000 subscribers to the e-newsletters. Cindy Hohl, Customer Experience Manager, presented for the Sales and Marketing Executives of Topeka (SME) in March 2016 on the customer experience. She shared her expertise on the customer experience and how you can anticipate customer needs by evoking long-term relationships with customers. In 2016, David Lee King, Director of Digital Services, has given presentations locally and in Washington, D.C. about online business promotions, emerging technology trends and user experience best practices in 2016. March 10: Building Collaborative Collections. A panel with Darlene Fichter and Jeff Wisniewski. Computers in Libraries 2016, Washington, D.C.
March 9: UX Best Practices & Strategies. 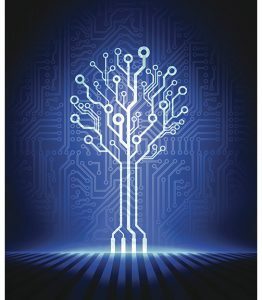 Computers in Libraries 2016, Washington, D.C.
March 8: Contracts, RFPs & Working With Suppliers. Computers in Libraries 2016, Washington, D.C.
March 7: Tech Trends for Libraries in 2016 & Beyond. Computers in Libraries 2016, Washington, D.C. He also represented the library in the SME High Performance seminar How to Promote your Business in the Digital Age with David Lee King in January 2016 where he discussed how to use video to increase business sales. The American Advertising Federation (AAF) of Topeka rewarded two of the library’s Communications and Marketing staff, Leah Sewell and Richard Kobs, with ADDY Awards. 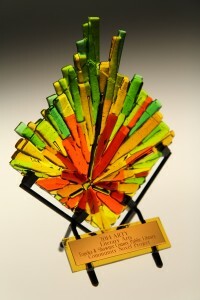 This award is given to those who excel in the advertising industry. Sewell, the Communications Editor, was awarded a silver ADDY for her work on the library’s e-newsletter, Library News Update. Richard Kobs, the Art Director, received a gold award for his design of the Alice in Wonderland bookmobile wrap. In 2016, Diana Friend, Director of Communications and Marketing, was named SME’s Executive of the Month in June 2016. She also serves as a member of the SME board of directors, is the chair of the continuing education committee and coordinates the High Performance Seminar series. 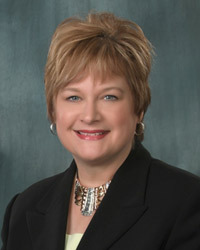 In 2016, Gina Millsap is the Chair of the American Library Association Advocacy Program and the Chief Executive Officer for the Topeka and Shawnee County Public Library. She is also a member of the Board of Directors for the Public Library Association and a member of the Board of Directors for LYRASIS. 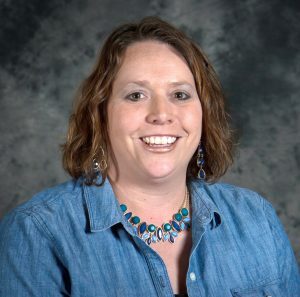 Miranda Ericsson, librarian and creative writing expert, had the honor of representing the library as part of the Kansas Notables Committee in 2015-2016. 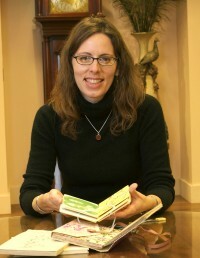 She was one of the librarians given the chance to help choose 15 titles in relation to Kansas or by Kansas authors that would receive an extraordinary award. These books are displayed as part of the Kansas Book Festival as well as at literary events. 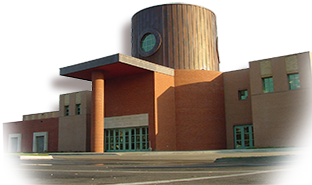 The Topeka and Shawnee County Public Library has been recognized as a 4-Star Library by Library Journal. Star libraries are identified based on the success of their output – circulation numbers, program attendance and community use of services. Lissa Staley is the library’s health information librarian and co-chair of the Healthy Eating and Active Living workgroup at Heartland Healthy Neighborhoods as a library representative. She helped community members and service providers to create goals, strategies and opportunities for community action for the Community Health Improvement Plan based on areas of focus identified in the 2012 Community Health Needs Assessment for Shawnee County. She worked on the project for 16 months and presented it to the Shawnee County Board of Health in April 2015. 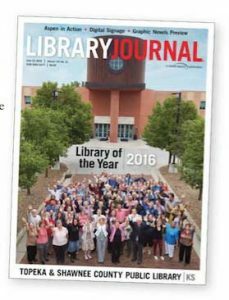 The Topeka and Shawnee County Public Library was given a 2015 LibraryAware Community Award by Library Journal and underwritten by LibraryAware™, a product of the NoveList division of EBSCO Information Services. The Dothan Houston County Library System in Alabama was the first place recipient, Saint Paul Public Library in Minnesota was awarded second place, while third place went to Topeka & Shawnee County Public Library. The award recognizes model communities that engage with their libraries to improve the lives of their citizens and create life-long learners. David Lee King, director of digital services, has been appointed to the American Library Association’s (ALA) Nominating Committee. The Nominating Committee builds a slate of candidates for the association that include the President–elect, Treasurer and Councilor-at-Large. An ALA member can only be appointed to the Nominating Committee once, and it’s a great honor to be appointed. “Leading Self Publishing Efforts in Communities.” Lissa Staley. American Libraries, January/February 2015, pages 18-19. Read the article. Marie Pyko, the library’s public services director, was appointed to the position of Councilor of the American Library Association Kansas chapter. We were recognized by Library Journal as a Star Library in 2014. Star libraries are identified based on the success of their output – circulation numbers, program attendance and community use of services. 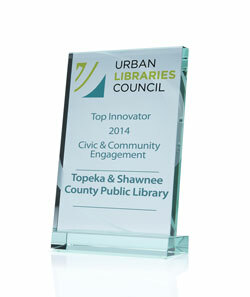 The Urban Libraries Council (ULC) announced Topeka and Shawnee County Public Library as one of its 2014 Top Innovators during the Next Libraries Conference, June 22-24, in Chicago. A panel of expert judges selected TSCPL’s Librarians Facilitating Community Change from more than 180 applications in the fifth annual ULC Innovations Initiative. ULC’s Innovations Initiative highlights members’ programs, services and operating practices that demonstrate their leadership by creating new approaches and practices to ensure the public library continuously meeting the ever-changing needs of the community. Topeka and Shawnee County Public Library won in the category of Civic and Community Engagement. The library has served as a convener for community conversations and librarians have served as trusted facilitators. In 2013 the Librarians and management staff received Effective Facilitator/Masterful Meetings training sponsored by Heartland Visioning. The librarians now use these tools to increase productivity, improve communication and participation, and achieve superior outcomes in the library and in the community, whether that’s leading a library team or facilitating a community discussion for Heartland Visioning, or the recent Community Conversation on Poverty. 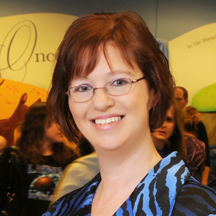 In 2014, the Topeka and Shawnee County Public Library’s Community Novel Project launched its third and fourth serialized novels, Superimposed, adult fiction, and Spirits of Oz, fiction for tween readers. More than 50 members of the Topeka community authored the books collaboratively. Librarians and leaders of the project, Lissa Staley and Miranda Ericsson Kendall, accepted the Arty Literary Arts Award on behalf of the library. Topeka arts organization, ArtsConnect, presented the award Sat. Aug. 30, 2014. The Community Novel project won over two other nominees. “We’re demonstrating to the local writing community that the library is a convener, an encourager and supporter. We’re more than just a place to have your book shelved when it’s published. We’re giving them experience,” said Staley. For more on the Topeka & Shawnee County Public Library’s Community Novel Project, visit tscpl.org/novel. Or see Miranda Ericsson Kendall and Lissa Staley present a webinar on the project on the Nebraska Library Commission website. Art librarian Brea Black juried the Guild of Book Workers Midwest Chapter’s travelling book arts exhibit “Plainly Spoken” in 2013. Black was one of three jurors. The other two jurors were from the University of Kansas (KU) and St. Louis. Books were submitted by artists from across the country. The exhibit opened at the Spencer Research Library at KU in Nov. 2013. After KU, the exhibit travelled to the University of Michigan, the Newberry Library in Chicago, the University of Iowa, and the Minnesota Center for Book Arts in Minneapolis. The Topeka and Shawnee County Public Library has been recognized as a high-performing library in a time of need. The library was given four out of five stars by Library Journal, by the oldest and most respected publication covering the library field. Libraries across the nation are playing a key role in their communities in this current economic crisis, and your library is no exception. Libraries were judged on number of visits, circulation, program attendance and public Internet computer use. Each day more than 3,000 visitors walk through the doors of the library. The library has experienced a 19.3 percent increase in the number of people coming into the library this year compared to last. In 2008, we checked out 2,453,453 items. In 2009, checkout was up 7 percent. The library provides free computer and Internet access and training. We offer about 500 computer-training classes each year. Our instructors say attendance at computer training programs has increased as the unemployment rate has increased. 258 libraries from across the United States earned a star ranking. To find out what other Kansas libraries were awarded stars, visit Library Journal’s website. The Topeka and Shawnee County Public Library’s efforts to celebrate and raise awareness of the traditions of the Latino culture earned us $1,000 in grant money. 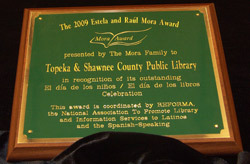 The library was honored with a national 2009 Estela and Raúl Mora Award for our El Día de los Niños/El Día de los Libros (Children’s Day/Book Day) program. El Día is a multicultural celebration held annually. More than 550 individuals participated in our program in 2009, and about 90 percent of them were Hispanic or Latino. The event included a bilingual puppet show, bilingual reader’s theater, traditional dancers, carnival games, bilingual storytelling and music by local elementary and high schoolers. All activities were presented in English and Spanish. In 2010, some of the grant money will be used to purchase more books, food and prizes for attendees of Dia, which will be April 29. And, some of the grant will be spent bolstering the library’s collection of bilingual books and other materials. The only other library to earn this distinction this year was the San Francisco Public Library. The Topeka and Shawnee County Public Library has been recognized as a pioneering Funding Partner of Heartland Visioning, a community-wide initiative to develop and implement a shared strategic vision for community revitalization. Funding partners are organizations and individuals who have made it possible for the visioning project to start and continue for the first three years. Either cash or in-kind contributions from these partners made it possible to go forward with plans for the Greater Topeka Region. Gina Millsap, library executive director, provided expertise as an adviser and member of the Steering Committee. The library also served as a host site for Heartland Visioning meetings, providing meeting room space free of charge. An organization dedicated to developing the next generation of leaders in the library industry is being led by the Topeka and Shawnee County Public Library’s executive director. Gina Millsap is the 2009-2010 president of the Library Leadership and Management Association (LLAMA), one of the largest divisions of the American Library Association. One of her many goals for the association is to foster a wider diversity among its members, who average 54 years of age. She is also focused on encouraging excellence in libraries. “We must learn new ways to discover what our customers need and provide resources and services when and how they want them,” she said. Millsap was sworn in as president of the LLAMA in July 2009. Millsap came to Topeka in August 2005. As director, she works with the library’s governing board, the library staff, The Library Foundation, and the Friends of the Library to expand upon our tradition of excellence in collections, programs and services. 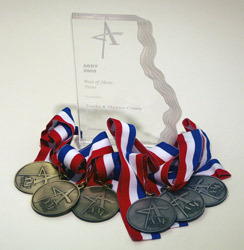 The library earned seven awards from the federation in 2009: three silvers, three golds and one best in show. The library’s stationary earned best in show. The library’s logo, which Kobs designed, earned a gold. Also of note, the library’s connectnow magazine earned a silver. The annual competition recognizes some of the biggest names in the local advertising and public relations fields. The library’s submissions compete against those from commercial advertising agencies. Each year the editors of Library Journal identify the emerging leaders from across the United States and Canada who are innovative, creative, and making a difference. David Lee King, Topeka and Shawnee County Public Library’s (TSCPL) Digital Branch manager, is one of 50 Movers & Shakers 2008 identified professionals who are moving libraries into the future. Library Journal has been covering the library field for 132 years, and is considered to be the “bible” of library directors, administrators, and staff in public, academic, and special libraries. King’s recognition is attributed to his ability to simplify complex technology. 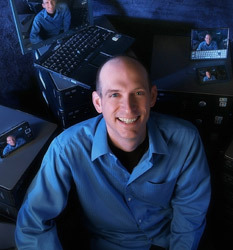 He is a popular library technology conference speaker, and is a writer for publications such as Computers in Libraries to Library Journals’ netConnect. 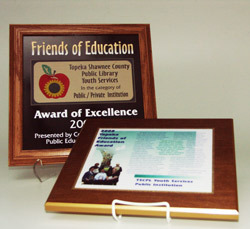 The Youth Services Department was awarded the 2008 Topeka Friends of Education Award by Topeka Public Schools USD 501 for providing excellent outreach services at Head Start programs, having bilingual storytimes each month, offering quality teacher resource materials and dedication to children. The library also won this award at the state level. The library earned the award in the private/public institution category, for its significant contribution to public education. Outreach services provided by the Youth Services Department to area preschool education facilities are outstanding. For example, Sheldon Head Start has a library but no librarian. Youth Services staff fill this gap by providing staff to go to the school every month. 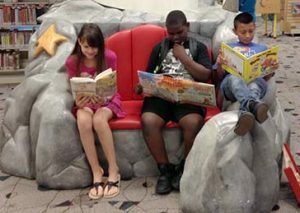 The Summer Reading program provides incentives for children to continue their education when school is not in session. The Homework Center is a place where adult mentors provide homework assistance and encourage children and young adults to value reading, studying and learning. In 2008, Library Board Trustee Elizabeth Ross nominated the library for the Vivian Scales Education Award, for which we won a plaque in Jan. 2009. The award was presented to the library by Living the Dream, Inc., for which Ross serves as a board member. 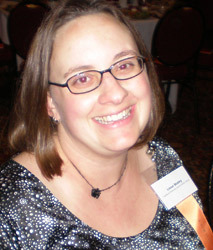 Librarian, Lissa Staley, was named a Woman of Excellence at the YWCA’s Leadership Luncheon in June 2008. Her dedication as a librarian, as well as her creativity in programming, is appreciated by library customers. The YWCA recognized her and 35 other women for their outstanding leadership, dedication, commitment and excellence at work and in the community. 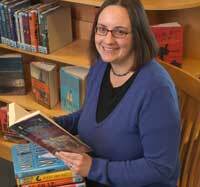 Lissa Staley has worked as a public services librarian at the Topeka and Shawnee County Public Library since 2001. When visiting the library, one will find her at the Reference Desk, leading book discussions, writing reviews, and helping her customers find the information they need. 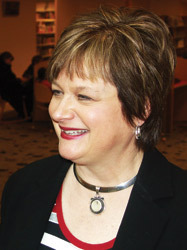 The Topeka and Shawnee County Public Library Executive Director Gina Millsap was named a 2007 “Mover and Shaker” by Library Journal magazine. 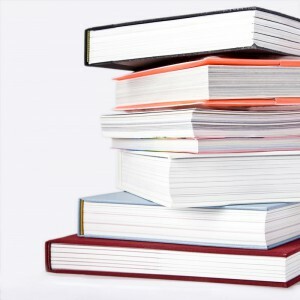 Within days of becoming the library’s director in 2005, Millsap scheduled meetings with every manager and supervisor individually and with 220 other staff in focus groups. She asked them what needed to stay the same and what needed to change, what barriers prevented them from doing their best work, and what made them feel valued. Millsap moved just as quickly to put the library at the table in community decision-making and to show local leaders what the library can do for them. She established a beachhead with Topeka’s Chamber of Commerce, Rotary, and the United Way. Kansas State Librarian Christie Brandau, says Millsap has shown her users an “exciting, technologically savvy, and user-centric library.” The new Digital Branch and Services Department serves distance users with blogs for adults and teens, wikis, podcasts, and a library social networking web page. 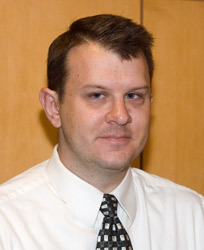 Thad Hartman, our collection development and technical services supervisor, was named a 2006-2007, “Emerging Leader” by the American Library Association. While in college he started at TSCPL as a shelving assistant. Since then has worked throughout the organization in many varying capacities, including circulation, reference, and interlibrary loan. One of Hartman’s major projects has been working with staff to create an organization and layout that will make sense to library customers, facilitate use, and create an exciting user experience. This plan resulted in the creation of several neighborhoods, which is a group of similar materials shelved together for ease of browsing. The American Library Association (ALA) Emerging Leaders (EL) program is a leadership development program which enables newer library workers from across the country to participate in problem-solving work groups, network with peers, gain an inside look into ALA structure, and have an opportunity to serve the profession in a leadership capacity. It puts participants on the fast track to ALA committee volunteerism as well as other professional library-related organizations.